Oh my gosh have I been busy lately! I think I’m in that nesting stage of pregnancy, too bad that doesn’t last all year long, I might actually have a clean house more often! Anyhow, we decided to move Samuel, my oldest, out of his two younger brothers bedroom and give him the guest bedroom as his own! At the same time I have been trying to put the baby’s room together. All of this means cleaning out and rearranging three packed closets! UGH my feet and back still hurt! 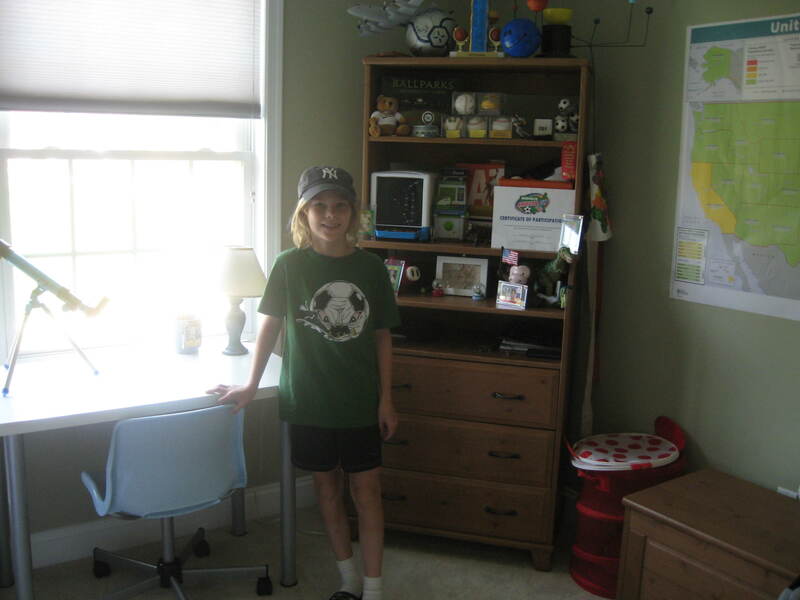 I also got an itch to rearrange my bedroom and clean out the play room. We now have plenty of things for a garage sale..which the boys are just dying to hold, but really no ‘want to’ left in me! I think I’m about done..aside from now washing all of the baby clothes, blankets etc., and packing my hospital bag, which I really need to get done soon! Speaking of garage sales…we have been taking the boys every Saturday and they LOVE it! We get up early, map out where we want to go, and usually stop for money and mini doughnuts to inhale along the way…did I say inhale? Inhale I do not..well, not for long periods of time anyway! 🙂 So far we’ve gotten some really great deals this summer..a baby bassinet for $10, set of tv trays for $4, snow boots for the boys (watch, now it wont snow this winter), life jackets for all the kids, including baby, for less than $10, a boggle game that the boys just love to play, storage containers (remember all those closets I cleaned out? ), a flying turtle scooter for the boys (wish I could ride it, looks like fun! 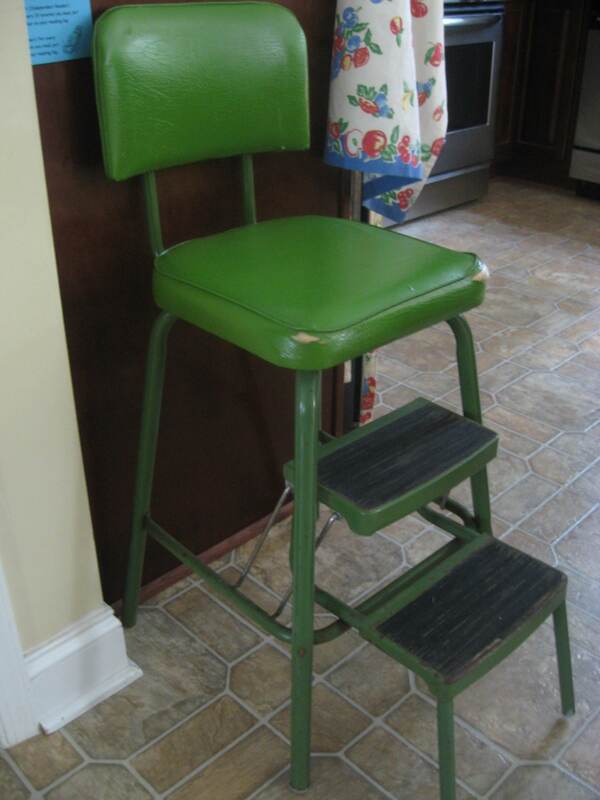 ), of course lots of little odds and ends the boys picked up, and last but not least an old, lime green, kitchen step stool/barstool that I am totally in love with! I picked it up for just a $1! SCORE! Looks like we might get to go on one more hunt tomorrow before soccer starts up again (as if it ever ended), and things get too busy with a new baby! Wonder if we’ll find any more treasures we just can’t live without?